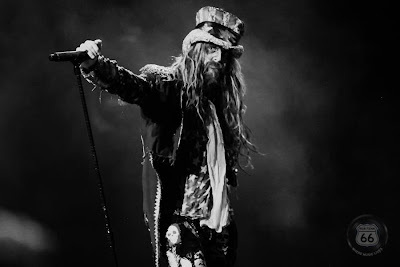 Last week, Rob Zombie guitarist John 5 leaked the news that the rocker is filming his current run of concerts for an upcoming live DVD release, and now Zombie is talking about the project. 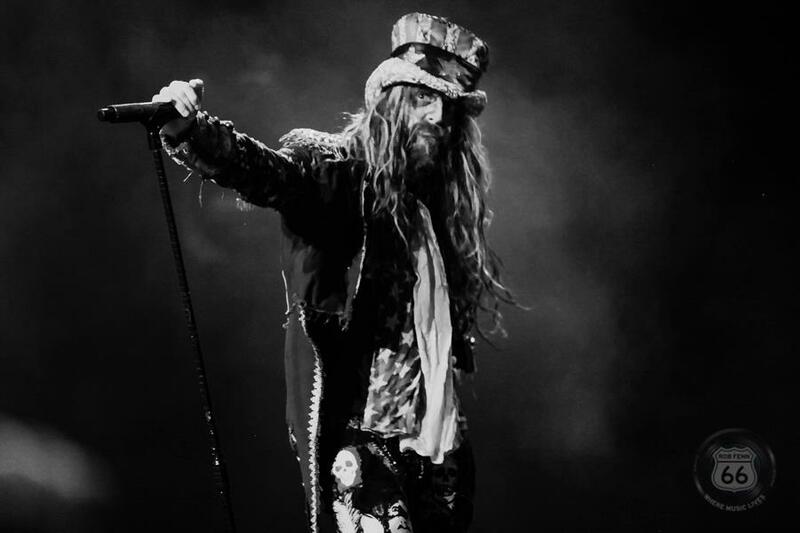 "[Doing a concert DVD] always seemed like a huge nuisance, truthfully," Zombie tells Q103 Albany. "We had a live record and that took a million years to do. And a live DVD, for some reason to me, always seems like a nuisance, because after the show is done, I don't care. I don't want to relive it. I mean, a certain member of the band films every show and wants to watch it immediately after the show. And it aggravates the f out of me. The show is over, I don't care. I never wanna hear about it again, I never wanna see it again. Like, I never watch anything — a TV show I've been on; I don't care. Once it's done, it's done. But I figured at least once we should film it." "We haven't [filmed any footage for the concert DVD] yet,” says Zombie. “We're gonna do it in Texas when we get to Texas [on the current Mayhem Festival trek], but who knows?! I may change my mind at the last minute." The Rockstar Energy Drink Mayhem Festival wraps up early next month with three dates in Texas.